Chevrolet Repair & Service | Certified Transmissions, Inc.
Do you need an outstanding auto repair specialist in the Prescott area to service your Chevrolet? If that’s the case, then Certified Transmissions Complete Auto Care is where you can find auto mechanics that speak your language--and the language of your Chevrolet. There’s a reason that Chevrolets have been around since the dawn of automotive time. Well, 1911, to be exact, at least according to Wikipedia. Chevrolets are the workhorses of the automotive world. People from Prescott (as well as all over the world) are very attached to their Chevrolets. 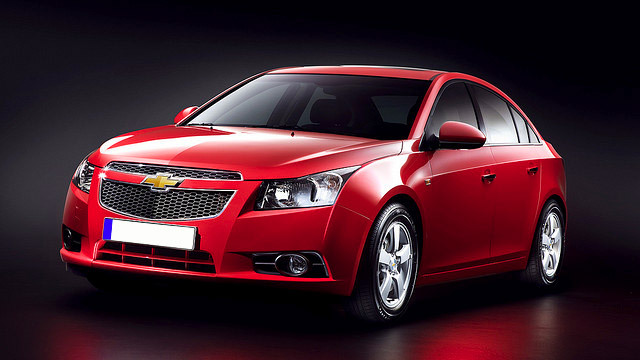 At Certified Transmissions Complete Auto Care, we understand how emotionally attached people get to their Chevrolets. If there’s such a thing as a Chevrolet whisperer, then the auto repair specialists at Certified Transmissions Complete Auto Care qualify. We treat your Chevrolet like it’s our own. We do complete maintenance with all our customers, bumper to bumper. We believe in preventive maintenance so your Chevrolet stays on the road longer. We road test your Chevrolet and listen carefully to what it’s trying to tell us--that’s where the whispering comes in. Our 2-year/24,000-mile warranty is for your peace of mind. We’d love to work on your Chevrolet. Schedule an appointment today. Certified Transmissions Complete Auto Care is conveniently located at 1089 West Iron Springs Road, Prescott, AZ 86305. Our hours are 8:00 AM - 5:00 PM, Monday - Friday. We also serve the communities of Prescott Valley and Chino Valley.